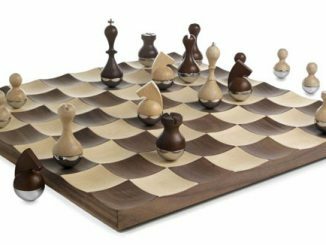 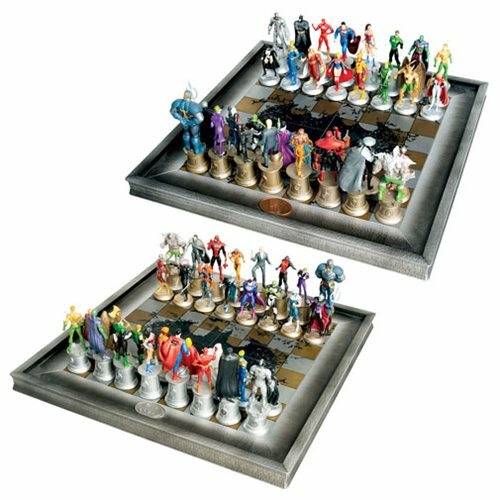 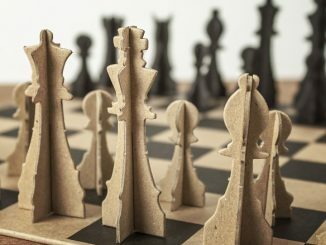 The DC Comics Complete Justice League Chess Set is a beautifully detailed chess board for the ultimate Justice League fan! 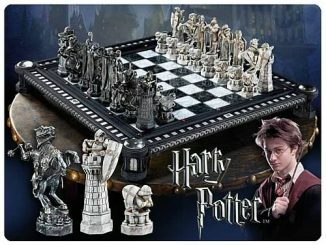 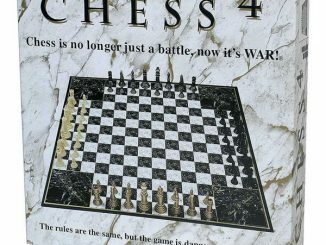 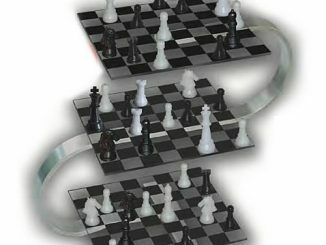 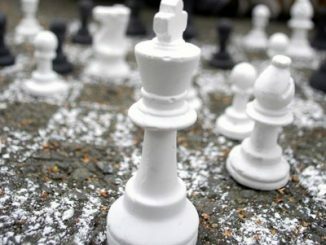 It is nicely detailed with 32 chess pieces! 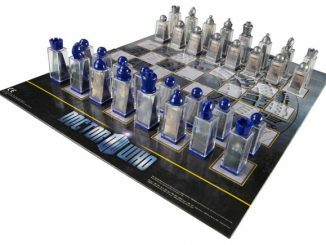 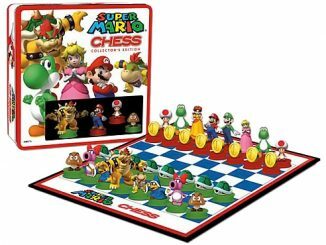 You are getting the entire Justice League Chess Collection in one package! 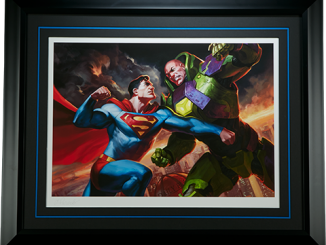 Hero pieces include Cyborg, Batman, Flash, Superman, Wonder Woman, Green Lantern, Martian Manhunter, Aquaman and more. 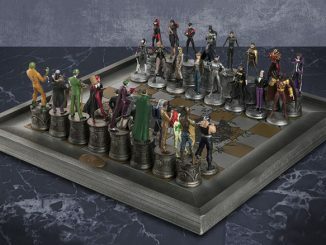 The Villain pieces include Doomsday, Deathstroke, Darkseid, Lex Luthor, Joker, Deadshot, Bizarro, Black Manta, and more! 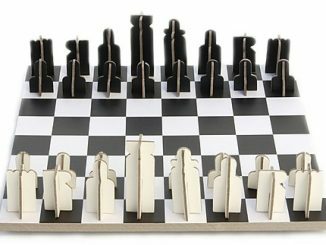 Each figure is 1:25 scale. 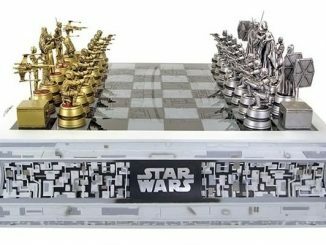 It will be a joy to play and display.